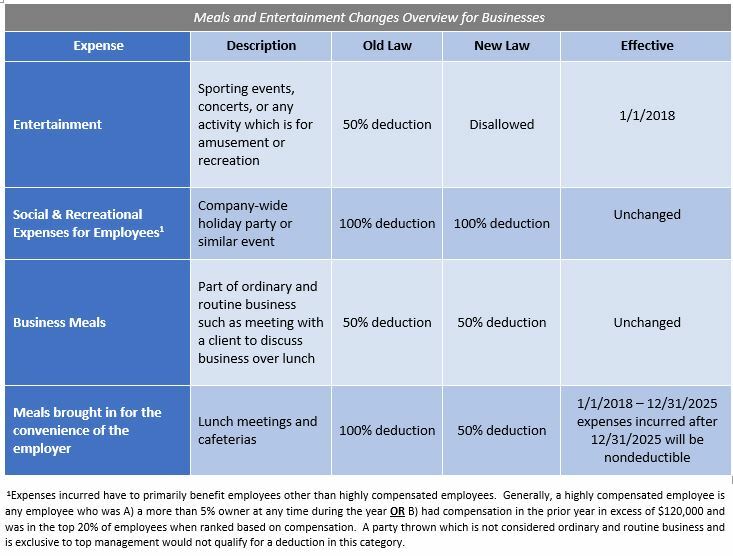 The Tax Cuts and Jobs Act made significant changes to the deductibility of meals and entertainment expenses effective 1/1/2018. The most significant change is the fact that entertainment expenses are no longer deductible. As a result, new accounting procedures should be implemented which keep track of the different meal categories as well as entertainment costs. The chart below contains the relevant provisions which companies need to consider when updating their accounting policies.